Christopher Ferri submitted this photo and caption. 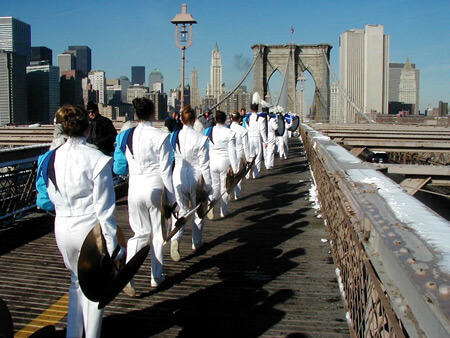 This is a photo of Jersey Surf members marching across the Brooklyn Bridge in January of 2002 when they were featured as part of the film "Pulse: A Stomp! Odyssey." After the September 11 terrorist attacks, this was the very first film that was issued a permit to show the New York City skyline.